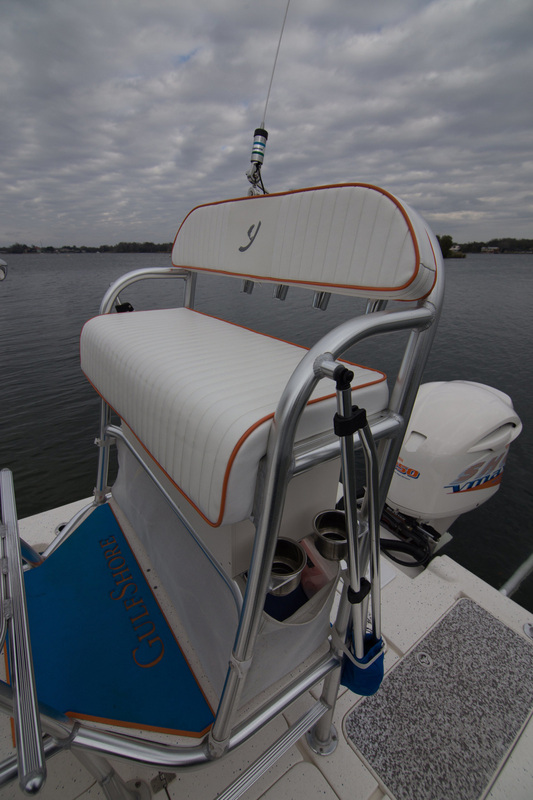 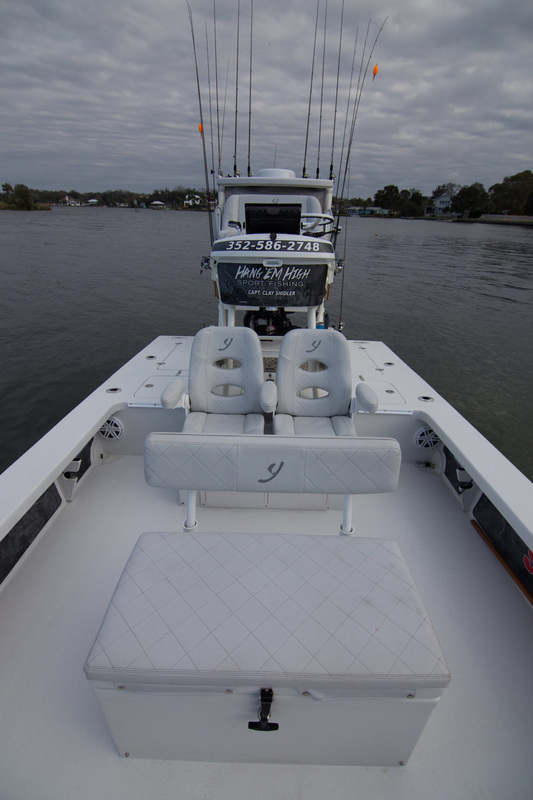 GulfShore 24 | Young Boats, Inc. 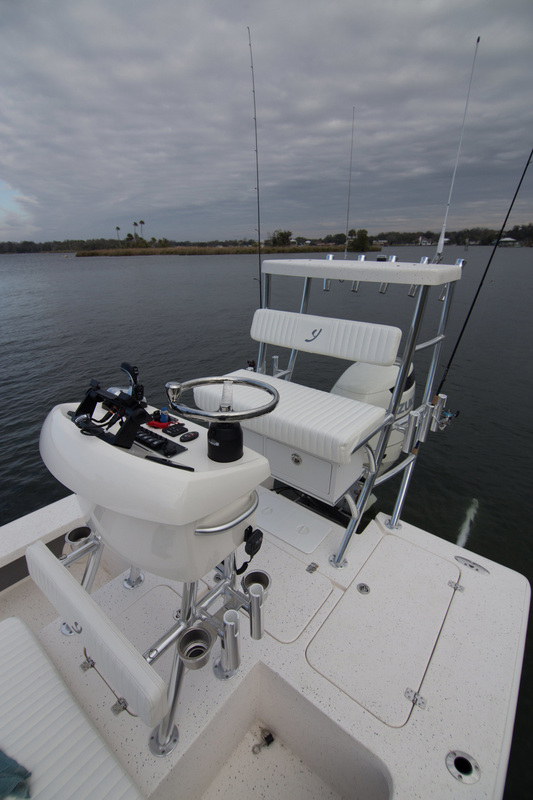 The new GulfShore 24 is rigged and produced in classic Young Boats quality construction. 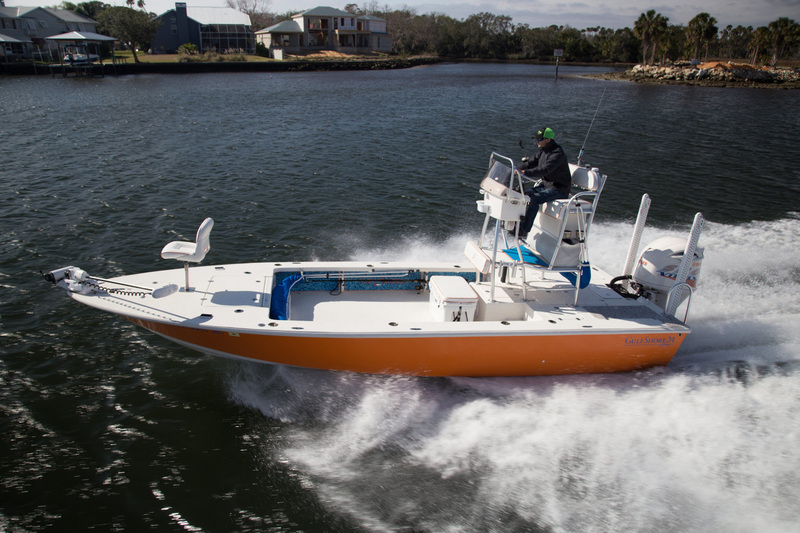 How can Young Boats improve on two already established winners — the GulfShore 20 and Young 24? 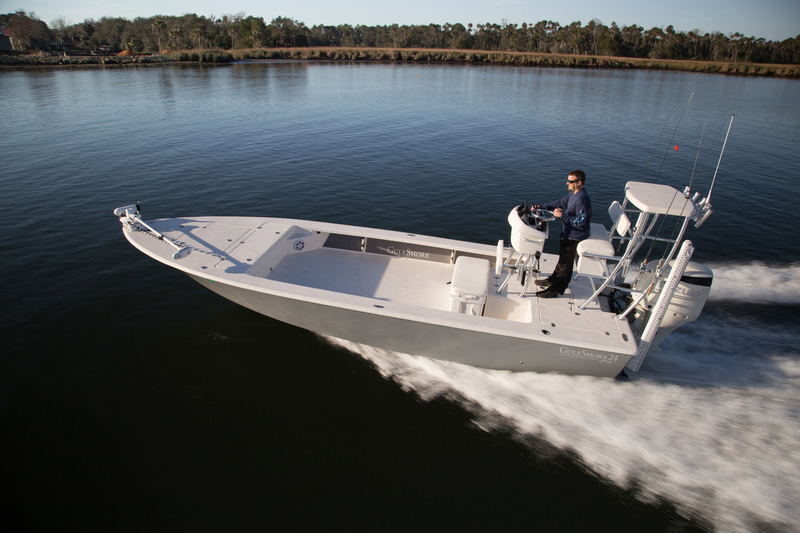 By listening to guide and charter boat captains who wanted to fish shallow, venture further offshore and accommodate six fishermen — the GulfShore 24 was crafted! 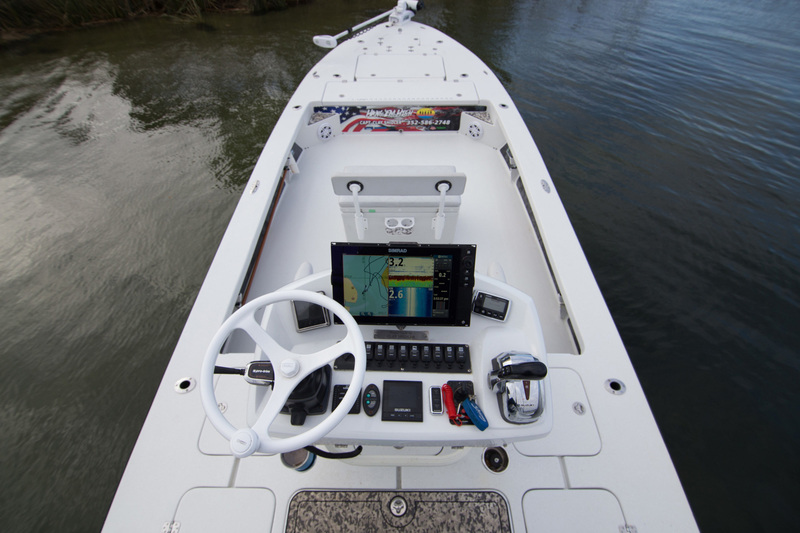 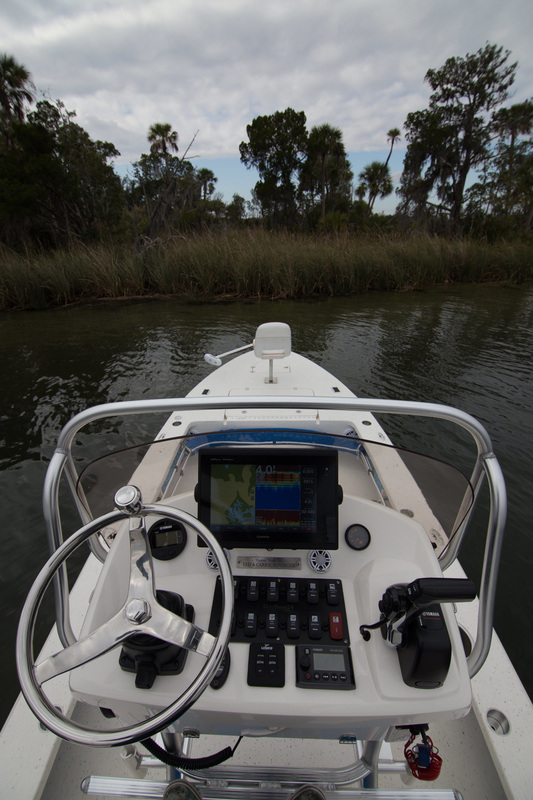 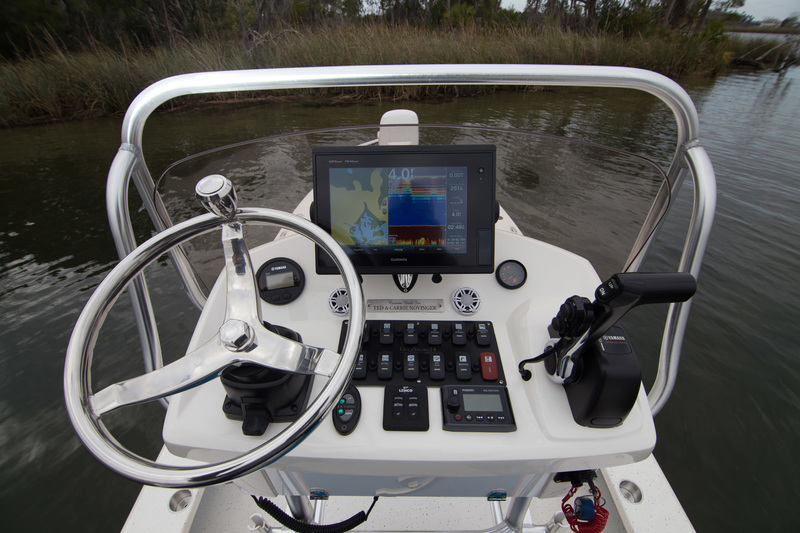 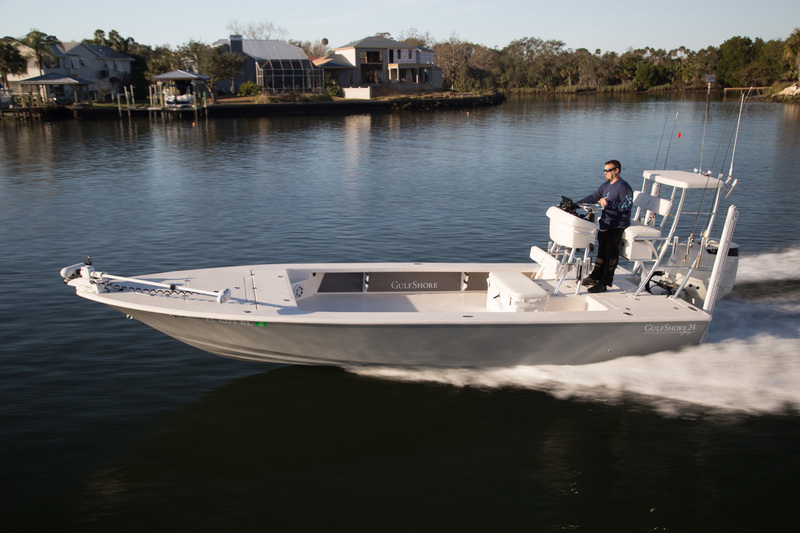 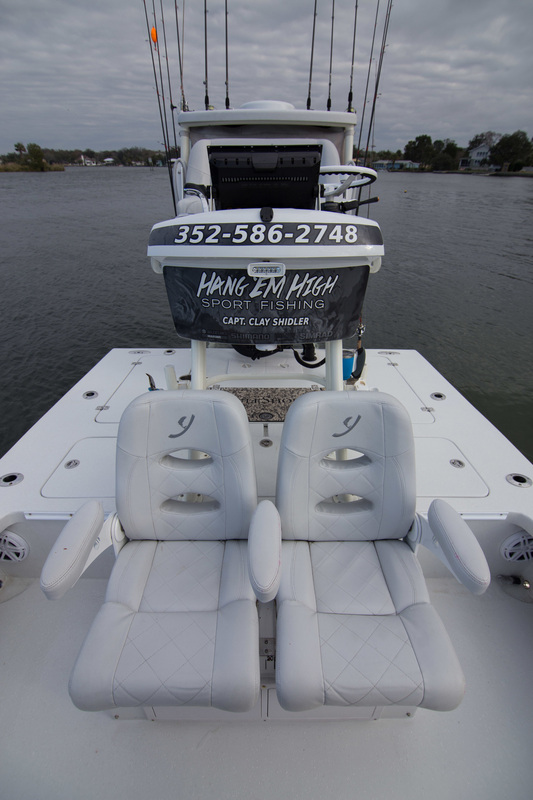 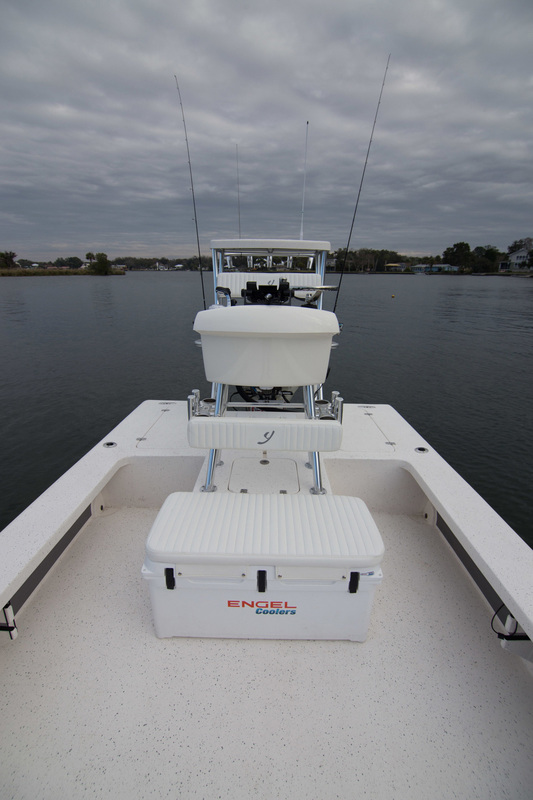 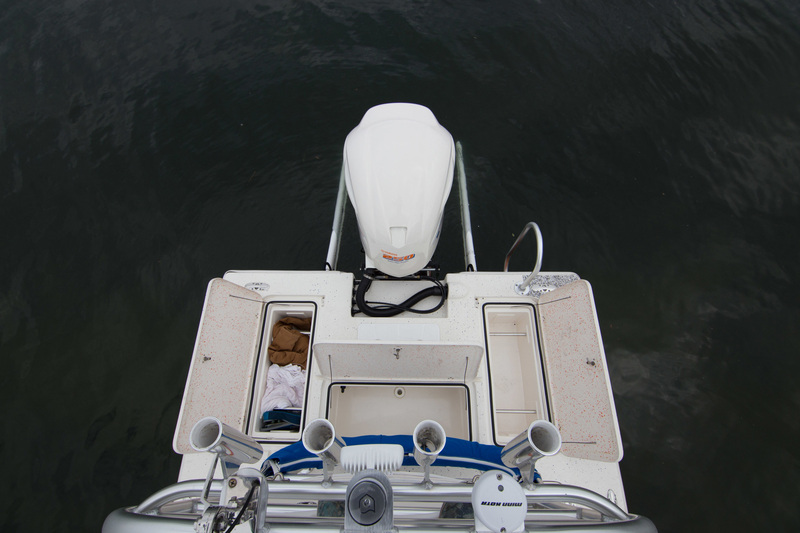 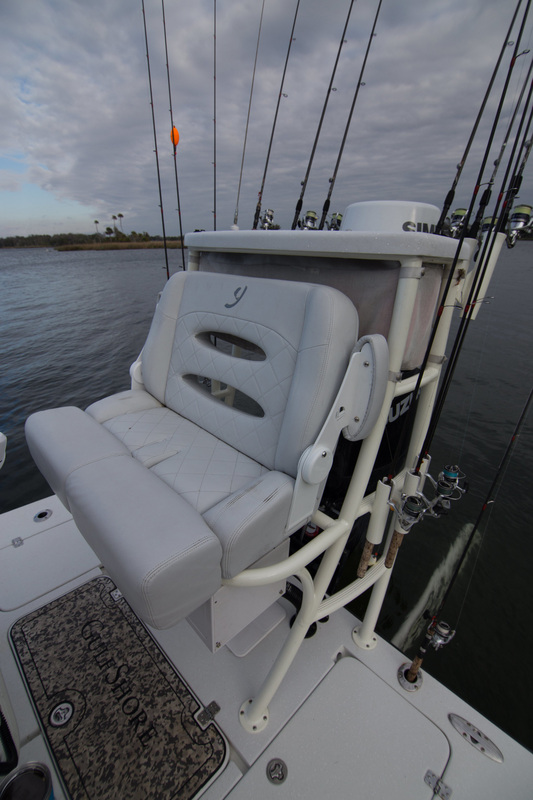 We have combined many of our most popular features and created the ULTIMATE GUIDE BOAT. 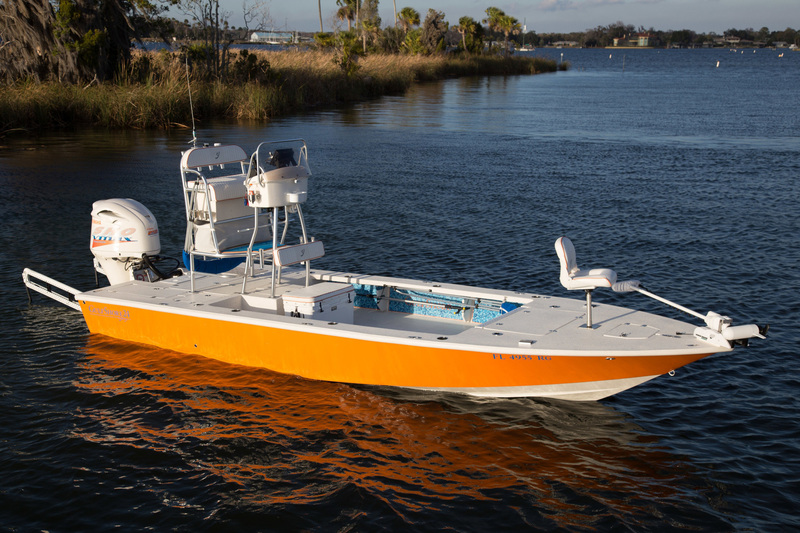 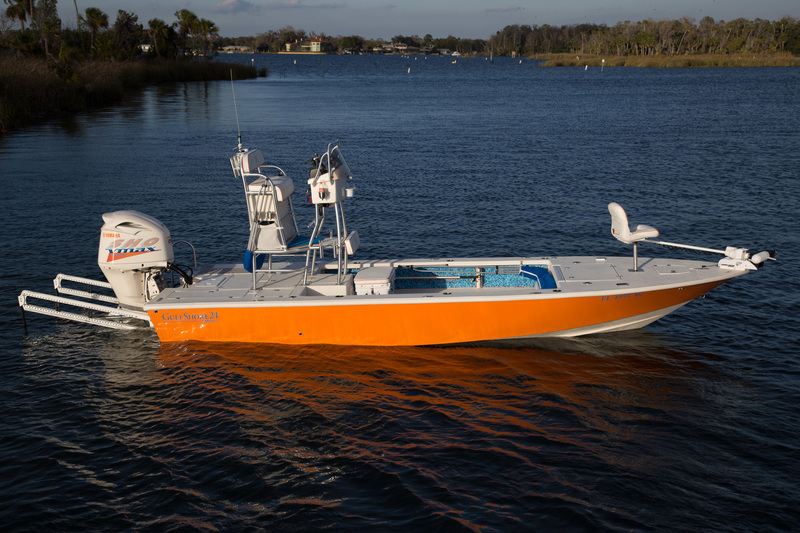 The GS24 is 2 feet longer and 6 inches wider than the GulfShore 22, and has a wide beam which makes for plenty of open deck fishing space. 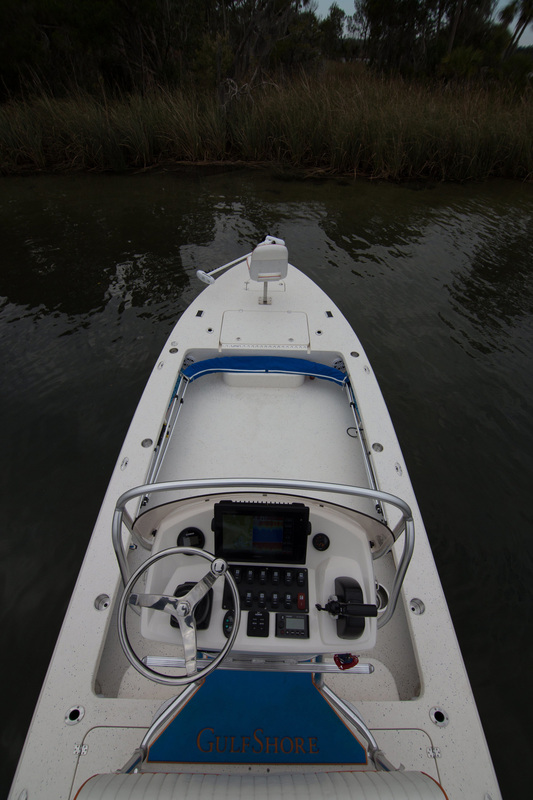 Because of the new tunnel design, it fishes extremely shallow with a running draft less than 6 inches and also handles heavy chop very efficiently. 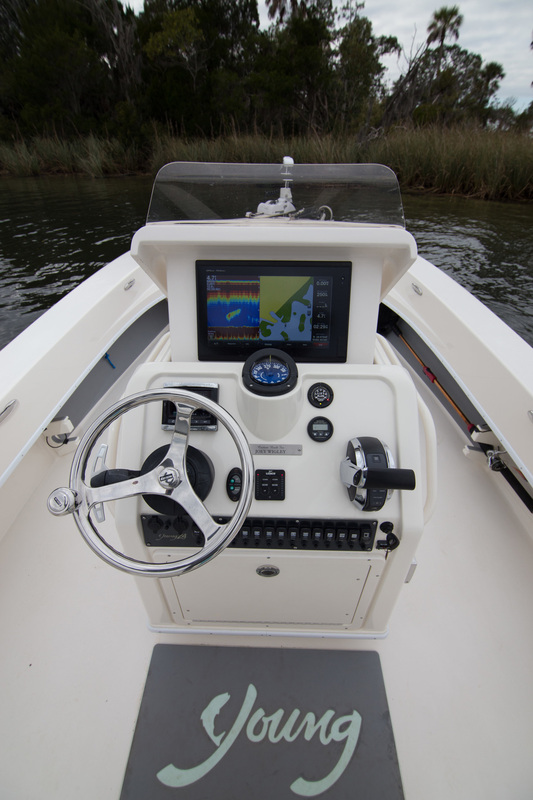 True to Young Boats’ reputation, several different layouts are available to customize. 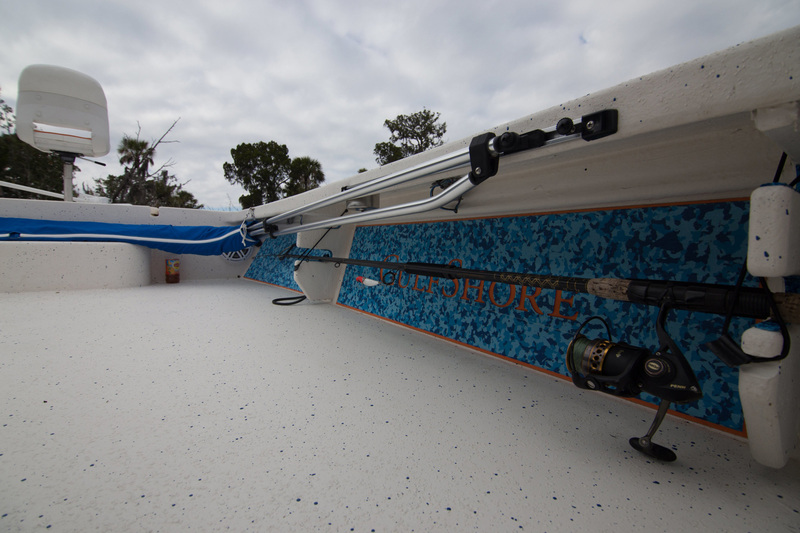 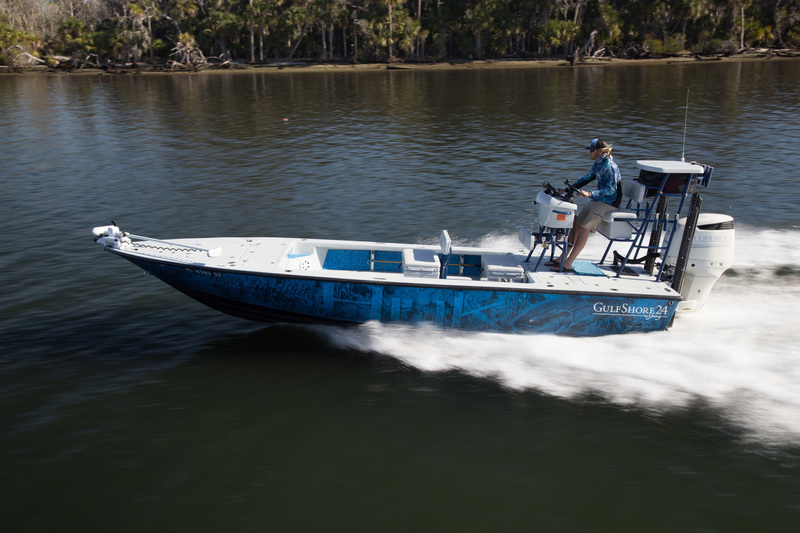 As with all of our GulfShore series boats, the new GulfShore 24 is rigged and produced in classic Young Boats quality construction with an efficient “sprayed-on” gelcoat non-skid finish.